Quality Assurance programs targeted at large animal production livestock (cattle and swine) in the United States have been successfully used to improve the quality and safety of meat products and providing training and verification of good production practices used on farms to provide assurance of a quality product to consumers. 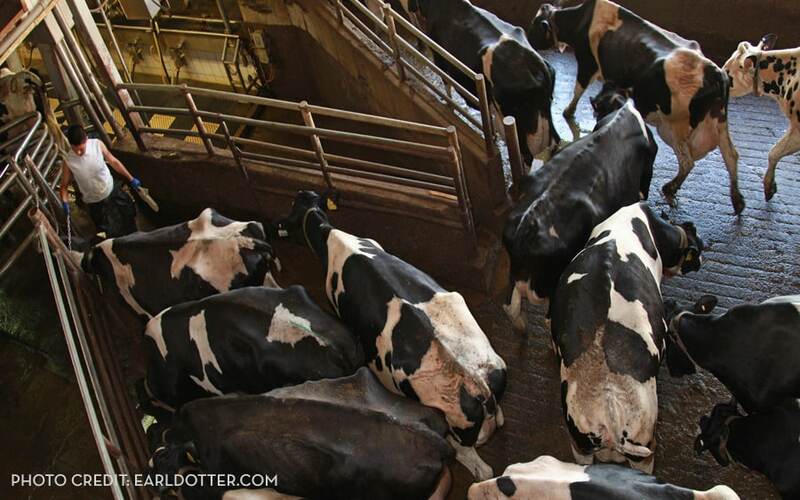 While worker safety and health has not been a direct focus of Quality Assurance programs, many of the topics are targeted at skills for animal care and husbandry, but those same skills may indirectly increase the safety of workers working with livestock. While the programs are not explicitly geared toward worker safety, there is an opportunity to address worker safety and health through these QA programs. The industry wide nature of the Quality Assurance programs, the level of acceptance by producers, and the focus at the worker level provide an opportunity to incorporate materials targeted specifically at worker safety and health as a focus. These programs offer the opportunity to improve worker health and welfare as they do for the animals by direct engagement of the animal caregivers. Incorporating worker safety and health into Quality Assurance programs will help to provide tools to producers and assurances to consumers that the production systems used to produce animals are ensuring the health and safety of the animals as well as the workers raising those animals. There is an opportunity to address worker safety and health through these Quality Assurance programs. Lee JL, Goldsmith T, Alexander BH. 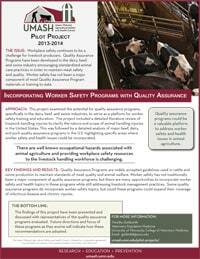 Quality assurance programs: current and potential impact on agricultural worker health and safety. National Occupational Research Agenda. May 1, 2014.